At Bay Area Re-Roofing, we understand that roofing a home can be confusing and expensive – so we make it easy and economical for you. 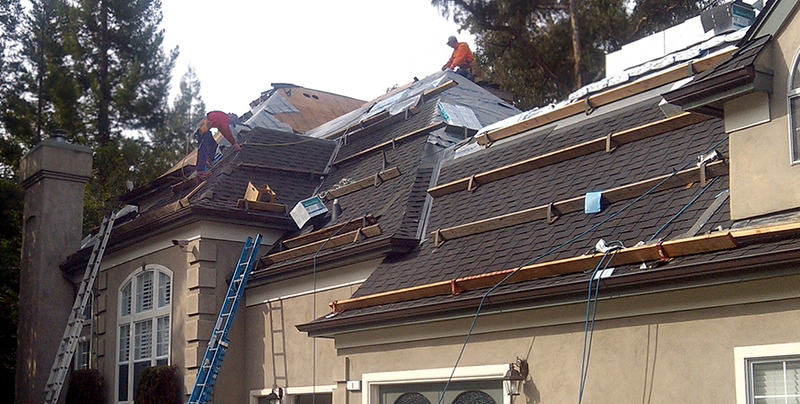 We’ve been roofing homes in the southern San Francisco Bay area under the same family ownership since 1968. We have roofed thousands of homes over the years and most of our clients come to us because of excellent referrals from past clients. Every roofing employee completes a thorough safety training program and attends mandatory safety meetings on a regular basis. We are fully insured and we take safety seriously. It’s a mighty long way down from where we work everyday. Customer Service is easy for us. When we first meet, we will cover everything you’ll want to know about how we work, the material options and costs for your roof, and come up with an installation schedule. Get answers from Bay Area Re-Roofing now. 650-593-0116 or by email at randy@bayareareroofing.com. You can also fill out this nifty form if you prefer.